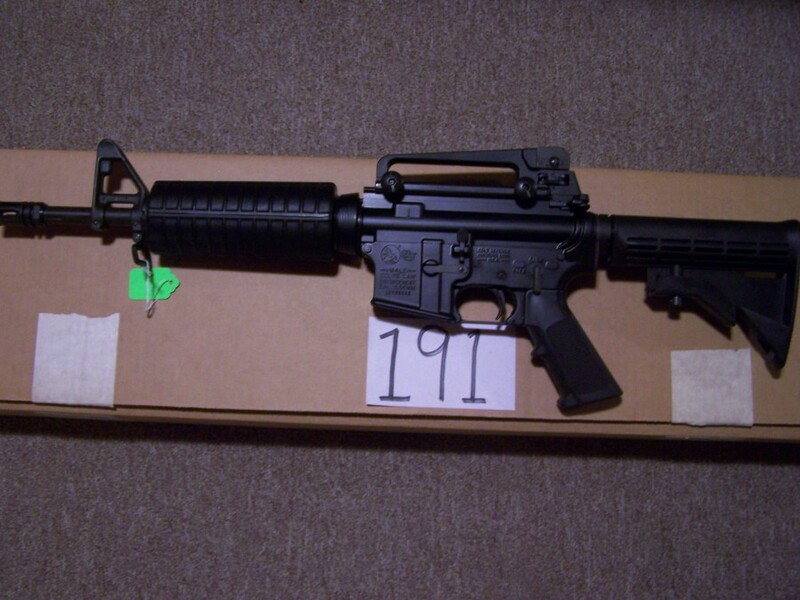 Semi-Auto Colt M4LE New In Box and accessories. Has been handled but is a new gun. 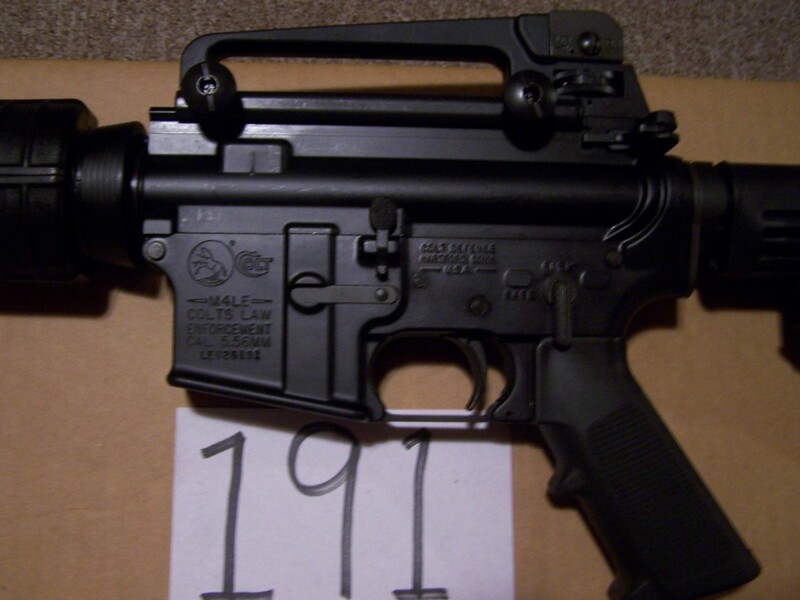 Has the desirable restricted markings. 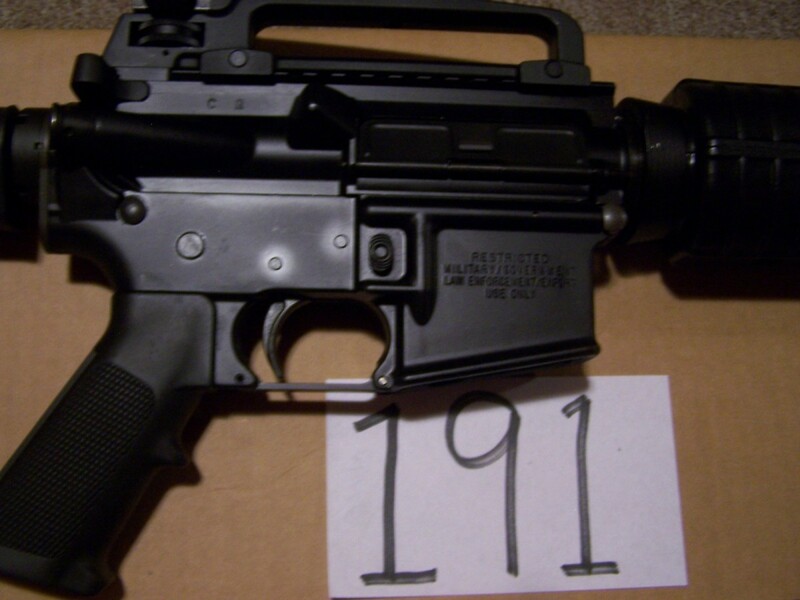 This is a short-barreled rifle an requires a tax stamp. Flat-top receiver with detachable carry handle. Excellent condition in and out.